Dudoa is a small tree reaching a height of 5 meters. Leaves are oblong-ovate or oblong, 20 to 25 centimeters long, 9 to 11 centimeters wide, entire and smooth, with pointed tip and somewhat rounded base. Flowers are yellowish, about 3 centimeters across, borne on simple racemes on the trunks and branches which are about 50 centimeters long. 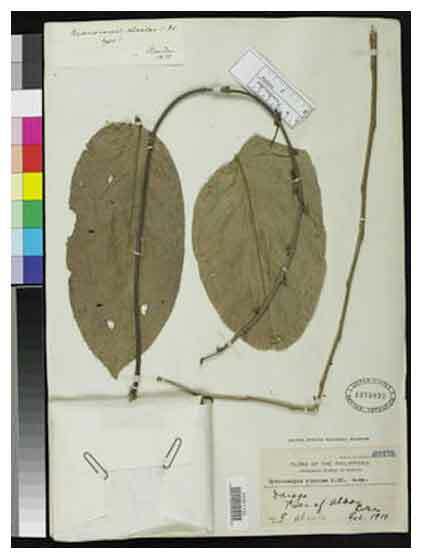 Sepals are five, ovate, about 1.2 centimeters long, and smooth. Petals are five, elliptical, about 0.8 centimeter long, and hairy on the margins. Fruit is large, hard, woody, brownish, smooth, obovoid, 20 to 25 centimeters long, and 10 to 14.5 centimeters wide, containing 80 to 90 oblong-elliptic or ovoid seeds which are dull brown with gray longitudinal stripes, which are about 3 centimeters long and embedded in whitish pulp. 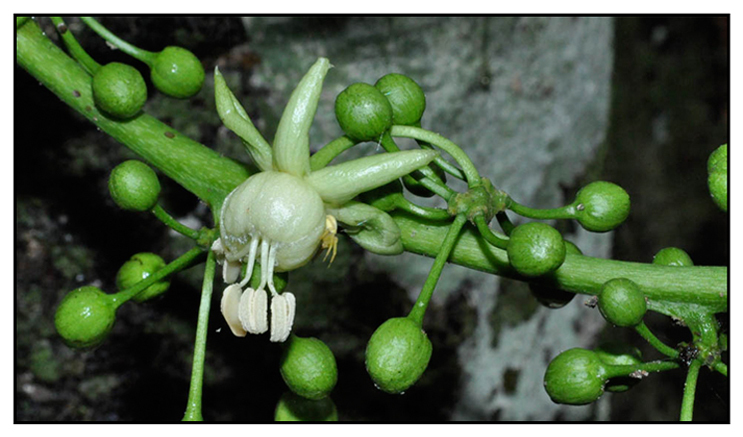 - An endemic species in forests at low altitudes in Albay Province, Luzon. - Cultivated in Laguna and other provinces. - Considered a "Threatened" plant in the Philippines..
- Seeds yield 65.5% fixed oil. - Seed coat yields 3.73% of resin acid. - Study yielded two naphthol esters of chaulmoogric acid and 2 chaulmoogryl naphthlamines. - Irritating property of the oil may come from the resins. - Hydnocarpus oil and its derivatives were once used extensively for the treatment of leprosy. - Oil extracted from seeds used for wound healing. Effect of oil of hydnocarpus on wound healing. / Oommen ST, Rao M, Raju CV. / Int J Lepr Other Mycobact Dis. 1999 Jun;67(2):154-8.